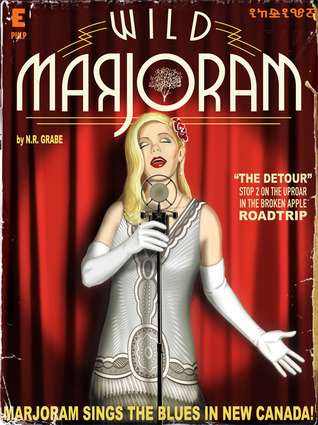 Journey into Mystery "Wild Marjoram: The Detour" takes place immediately after the events in "The Vote". The deceit of the farming community, has created a rift between Marj and Jerry. They decide to break from their main mission to visit some familiar faces in New Paris Canada. I think, the traveling companions are hoping to heal their relationship in this safe haven. They arrive with a diary uncovered at the farm. It's actually an artifact from Marj's mom.Marj doesn't know much about her deceased mother, and she is anxious to learn more. In a way, she has created an expectation of her mom, in her imagination and now she wants to test it against reality. Since Marj is now in her mothers old stomping ground, she investigates her mothers past. She walks in her mom's footsteps for a night and makes some unusual discoveries.There is another interesting element to this tale. There is an illusive outside influence doling out clues to Marj and it's leading her to something. I can't tell what yet, but I am very curious to know. I don't want to spoil the twist in part of the the road, but the presence appears to be supernatural… Cue dramatic piano music.